Oh, Forest Flower tell me, do. How can I become like you? That always changes and rearranges who I am. From the Mississippi to the Hudson, rivers have run their courses through the life of Charles Lloyd. Like the 1938 flood in Memphis, Tennessee during which he was born, those waters have broken the levees of his soul, loosening sediments of buried pasts. With archival care, filmmakers Dorothy Darr and Jeffery Morse dust off and piece together as many of these as they can into a narrative of interconnected branches. Grafting these to the same flowering tree, they offer us an unparalleled glimpse into one of jazz’s most shade-giving griots. The trunk of this story roots itself in biographically rich soil. From under the wing of Phineas Newborn, Jr., Lloyd emerged holding the feathers of others who walked before him. Like rhythm in Charlie Parker’s purview, he was liberated to articulate the minutiae of jazz traditions with a voice that was more than personal: it was organic. From moving to New York City, where Booker Little peeled away the Big Apple’s skin for an easier bite, and where he jumped into the pond of Chico Hamilton’s band, to the path of illumination he now walks, there’s more than a lifetime’s worth of creative impulses to map along the canvas of our wonder. Here’s an artist who offered his future at the altar of what came before, treating character not as a calling card but as manifestation of inner life. Although typically associated with the tenor saxophone, Lloyd began as an altoist. He only switched to the deeper cousin at the urging of John Coltrane and Sonny Rollins, who understood its range and possibilities. The suggestion was well taken, and Lloyd found himself once again broadening his wingspan. On stage with guitarist Gábor Szabó, in whose band Lloyd’s own compositions took flight, he developed more than a sound but a presence. After a brief stint with Herbie Hancock at Slug’s, then recording the album Of Course Of Course for Columbia (a reunion with Gabor that included Carter and Tony Williams), he joined forces with Keith Jarrett, Cecil McBee, and Jack DeJohnette. Hence, a creative explosion—if not also an implosion, as the sound was so introspective. Lloyd soon found himself on bills with Grateful Dead (who were big fans) and Steve Miller, among others, and consequently drew appeal from younger audiences, kicking off a period of international touring and recognition. Along the way, he marked his trail with the classic Forest Flower (recorded live at the Monterey Jazz Festival in 1966), stopping also in Tallinn, Leningrad, and Moscow to great fanfare (people applauded so long, DeJohnette recalls, they had to be stopped by authorities). In the face of a quick rise to notoriety, Lloyd was resolutely concerned with freedom, breaking racial, cultural, and artistic barriers at a time when Vietnam, social unrest, and the civil rights movement were swirling in the public imagination. He was on his way to becoming an artist without geographic or spiritual boundaries who played the note that should be played. And yet, after such adventuresome projects as his Moon Man opera and a recording with the Beach Boys (Warm Waters), he feared becoming a product in and of an industry that demanded of him a “boring retelling of the truth.” All the while, he was searching for a “holy grail” in the music that was to be his salvation and his light. Disenchanted by the false gospel of stimulants, and with the music business in which they proliferated, he felt he owed a “debt to the tradition” and exiled himself in Big Sur to recalibrate his spiritual compass. For someone who, as Hancock put it, was “brimming with love,” it came as a difficult but necessary decision. During this period of reflection, he often played music outside, in response to (and in conversation with) nature. He sometimes shared performance spaces with actors and poets in California, all the while “uninvited” to the jazz circuit. While the world was waiting for a comeback, artist Dorothy Darr was finding inspiration in his music for her painting. Having first met him in 1968, she saw in him an unrivaled depth of expression, a beauty without and within. In light of this, we may read this film also as a love story, of which music is but one leaf. 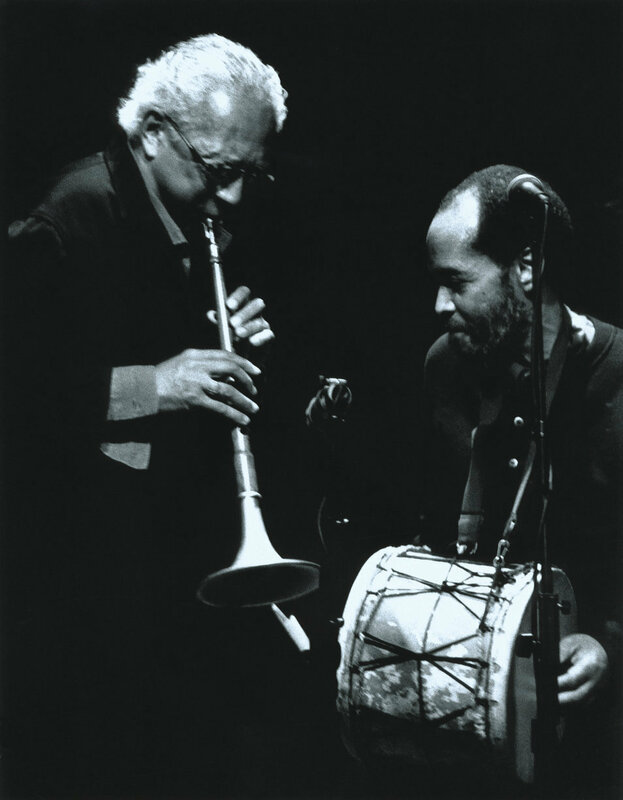 Thus began a period of rejuvenation, including travels to India and the formation of Sangam with Zakir Hussain and Eric Harland, with whom he expanded his feel for the living flesh of improvisation. 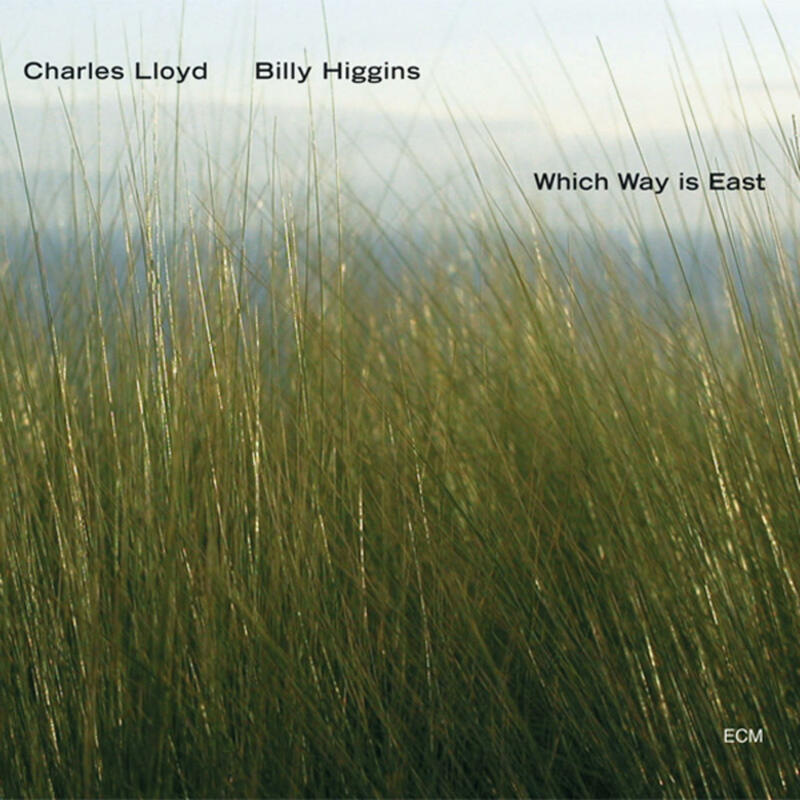 In the 1990s, Lloyd and Billy Higgins reconnected for the first time in four decades, first in their Acoustic Mastersrecording on Atlantic, later in their masterful Which Way is East. Higgins was adamant about putting his dear friend back into the public forum, never hesitating to remind Lloyd that he was a conduit in service of higher power. The band with Jason Moran, Reuben Rogers, and Eric Harland (documented on Mirror) is another vital ECM touchpoint by which is articulated the importance of trust. To that end, Moran tells us that Lloyd represents something that is almost extinct. Whatever that something is may differ from one listener to the next, but to my ears it’s an underlying humility that burns like a pilot light in the depths of his horn. If life is a cycle, then it is made of endless others. As if to confirm that philosophy, Eicher calls Lloyd an “artist in progress,” Geri Allen a “free perfectionist,” and Ayuko Babu one who transmits energy and joy to understand pain. However we choose to characterize him, he is one who plays that which he alone cannot articulate. Hence the importance of us the on receiving end to absorb his melodies like the food they are. Of all the images in this film, an enthralling clip of Lloyd improvising with DeJohnette in a forest stands out for its unbridled expression. It emphasizes the destructive tendencies of nature, swallowing their music down a throat of wind and light. And yet, their expulsions linger in the heart long after the inevitable fade, for we carry them as echoes of unrepeatable moments. It’s a sobering reminder that our hearts are the most indelible archives of all, gateways into understandings without end. Perhaps, as Lloyd says, you can’t shoot an arrow into infinity if you’re always in motion, but his music shoots arrows into us until we are still. Not only is saxophonist Charles Lloyd a gentle warrior; he is a fierce dancer. By “fierce” I mean not in the manner of a predator but of sunlight: which is to say, all the more life-giving for his quiet grace. With Lloyd, at the time of this writing, in his 77th year, the critics will tell you he has never sounded better. But the simple fact is: he never sounded worse, either, as attested by the refined levels of meditation achieved on the five albums collected for this essential Old & New Masters boxed set from ECM. Indeed, meditation is an unavoidable flower in the field of his biography, as he famously walked away from the stage in the early 1970s, only to return to the horn a decade later with formidable selflessness. This period also saw his association with producer Manfred Eicher take first flight. Listening to these albums as a set, however, one realizes that his comeback was not the most important celebration. His truest essence as a musician remained cupped like a pocket of air in a lotus in which was contained a universe of song. And so, to assert that Lloyd was at last going forward is to do his spirit a disservice. If anything, he was going inward. As Thomas Conrad notes of Lloyd in his accompanying reflections, “With eight notes, he can put you in the presence of his immortal soul.” And from the opening breaths of this ECM debut, the truth of Conrad’s statement becomes crystal. 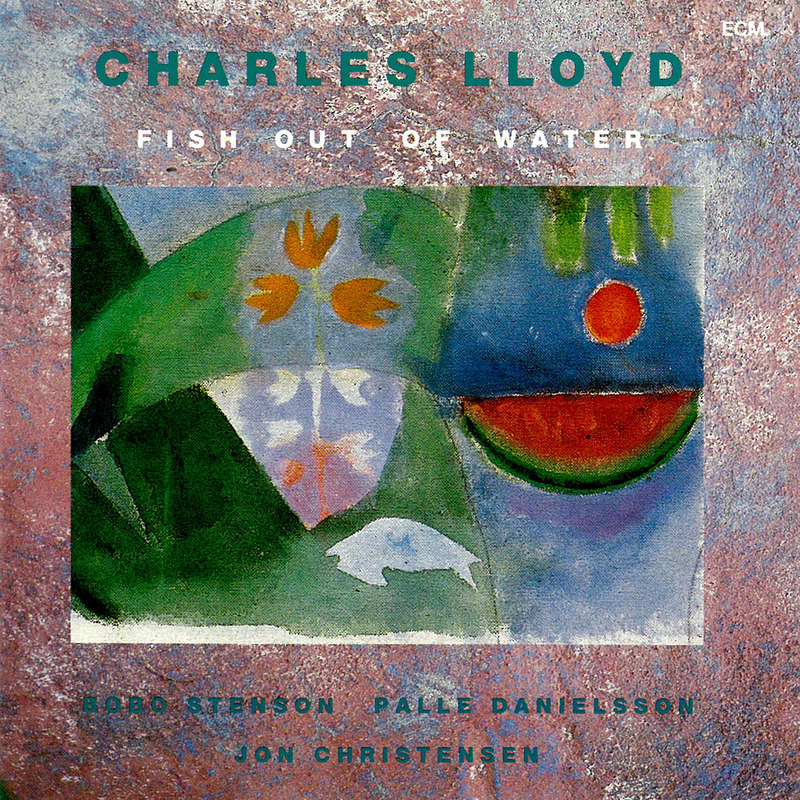 Here Lloyd is joined by pianist Bobo Stenson, with whom he would forge a significant working relationship, and Keith Jarrett’s European rhythm section: bassist Palle Danielsson and drummer Jon Christensen. Lloyd’s signature tenor, smoky of flavor and viscous of texture, floats through Stenson’s smooth action at the keys in the nine-minute title cut, which opens a program of seven originals. The delicacy of these two melody makers is the album’s bread and butter, as intensely apparent between notes as in them. Stenson draws freshly honed memories from Lloyd’s comforts, while the reedman takes pause and feeds back into the loop with darker nuances. The unwrapping of lyrical presents continues under the Christmas tree of “Mirror,” throughout which brushed drums and a resonant bass provide a landscape of fulcrums on which Lloyd balances smooth hits and fluttering asides alike, only to diversify the climate with flute in the contemplative “Haghia Sophia.” Again, from this Stenson manages to emote so complementarily that we almost get lost in the swirling oceanic foam from which arises a tenored Aphrodite. “The Dirge” is another drop into a limpid pool of soul that is reason enough to ingest this album’s nourishing vibes. Two grooves await us in “Bharati” and “Eyes Of Love.” The former is seek, refined, and oh so moving. Lloyd speaks mostly in half-whispers, never louder than a private declaration, while the latter unfolds some of his softest playing on record. A buoyant yet introspective solo from Danielsson trips us into the rejoinder, which keeps the cool, blue fires stoked well into the flute-driven “Tellaro.” Lloyd releases Stenson adrift as if a flower upon a river, swimming as a fish beneath him into a forest where we cannot follow. Mythology would like paint Lloyd’s hiatus prior to this album as a period of soul searching, during which he is said to have nearly abandoned music, only to return refreshed and pouring his all into the art form that so defines him (if not the other way around). And yet we clearly see that in the recordings since his soul searching has never stopped, for it continues to inhabit every breath that passes his reed. Even when Lloyd isn’t playing, there always seems to be a thin line connecting every stretch of silence. In this respect, we find here a spiritual level of jazz from artists all the more prodigious for their humility. In spite of their incendiary potential, they choose to cook rather than flare, each bringing his sensitivity to bear upon these insightful forays into melody and surrender. Tender to the utmost. When listening to these albums in chronological order, one’s appreciation for Lloyd’s notecraft can only increase. On Notes From Big Sur he finds himself in fine company: Bobo Stenson remains at the keys, but this time bassist Anders Jormin and drummer Ralph Peterson (in his only ECM appearance) take up a coveted rhythmic role. The feeling of afterlife offered in the opener, “Requiem,” is immeasurable. Arcing into a gorgeous cradle of sound, set off by Lloyd’s unerring climb into tuneful bliss, this is one of his most profound statements on record. Smooth-as-caramel pianism widens the doors into a vista of reflection, even as Lloyd pins a tail to this comet with a ribbon of his own. Were the band to stop here, the album would already be a masterpiece. Gratefully they press on into the more free-flowing “Sister,” in which Lloyd takes occasional punctuations in the backing as prompts for chromatic essays. Stenson has his moments in the sun, as in his spiky solo for “Monk In Paris,” cascading runs in “Takur,” and buoyant commentary of “Sam Song.” Lloyd’s pointillism comes to the fore in the latter for a formidable rendering. Jormin, too, makes a notable statement here. “When Miss Jessye Sings” (dedicated, one imagines, to Norman) is another achingly soulful track, with enough dynamics to spread over the entire album’s surface and then some. The glue that binds comes in “Pilgrimage To The Mountain.” This two-part prayer draws us into the session’s core intentions. Peterson has just the right touch in both. He traces that same mountain with footprints, leaving Lloyd to paint a sunset, and us to reckon with the secrets of its pyramidal shadow. 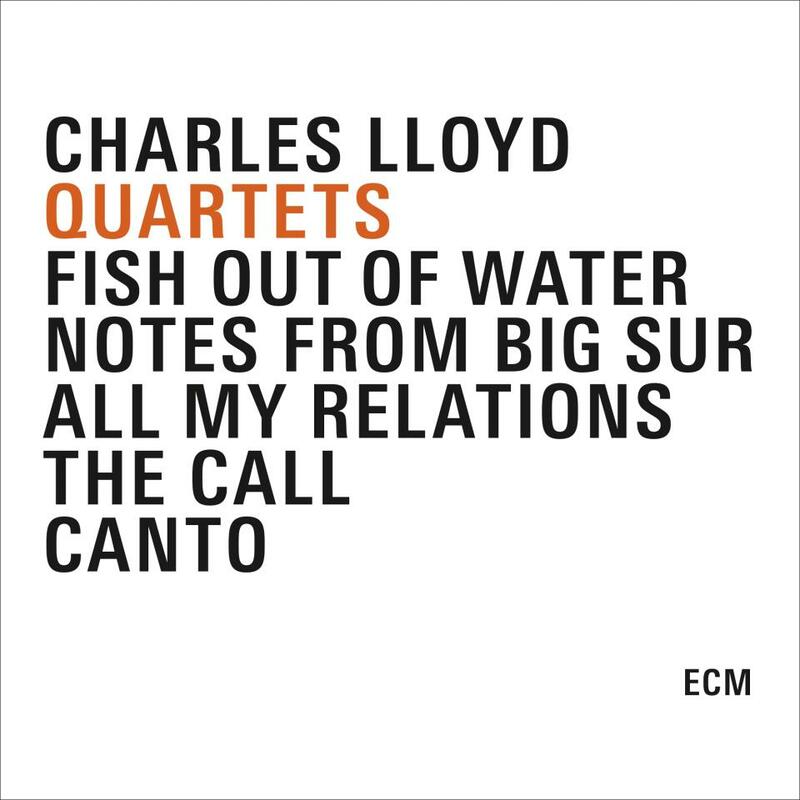 With The Call, Lloyd hit his ECM stride. Having pianist Bobo Stenson, bassist Anders Jormin, and drummer Billy Hart didn’t hurt. “It’s a full-service orchestra of love,” Lloyd once said in reference to this lineup. I decline to come up with a more fitting slogan, for the tender ode of “Nocturne” that opens this set of nine originals is bursting with it—that love which bears the weight of dreams on its shoulders and sews itself into the quilt of history. Stenson rings true, here and throughout, blending us into “Song” with a mélange of pointillism and legato undercurrents as Jormin’s buoyant solo carries us deeper into this moonlit cave. That Lloyd only joins in three quarters of the way through a nearly 13-minute odyssey reveals but one facet of his humility. His expression uncurls like the fist of a pacifist in “Dwija” while holding in its relief the possibility of defense. “Glimpse” has its own story to tell, painting a lakeside soiree under hanging lights, each wrapped in fragile paper and lending purpose to a slow dance one wishes might never end. Such bittersweet softness is the album’s emotional eigentone, fashioning a double-edged sword between the urgency of “Imke” and the blissful “Amarma,” the thoughtfulness of which shows Lloyd at his barest. Our leader is also irresistible in the celebratory “Figure In Blue, Memories Of Duke” (note also Stenson’s complementary touches) and the audio kiss of “The Blessing,” but saves the best for last with “Brother On The Rooftop,” an ululating duet with drums that might very well have planted the seed for his duo album with Billy Higgins, Which Way is East. Lloyd knows not only how to tell a story, as any great jazz musician should, but also binds it in soft leather and tools it into a one-of-a-kind symmetry. He needn’t even inscribe it, for his spirit is in the details. Never one afraid to think out loud, he lets us in on everything. 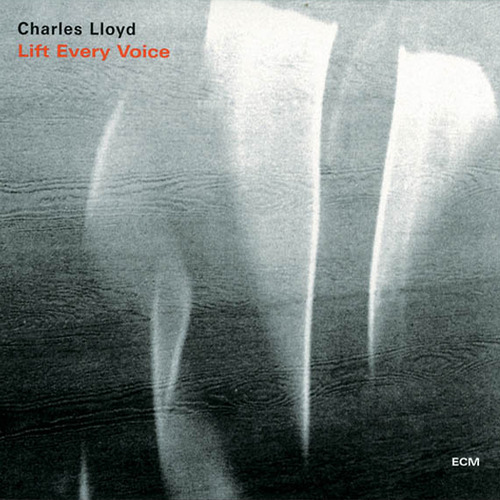 Lloyd was positively soaring by the 1990s, during which time ECM’s microphones were there to catch every glorious note before it disappeared beyond the clodus. The Coltrane comparisons so often made in regard to his playing are more than justified on this especially bright, sometimes boppish, session, which like its cover speaks in bold contrasts of red, white, and gray. Lloyd blasts his colorful invention in cuts like “Piercing The Veil,” “Evanstide, Where Lotus Bloom,” and the anthemic title track with the conviction of a prophet, finding himself bonded along the way by superb kinship. Jormin always manages to find room where there seems to be none, painting his lines as he does into an intimate canvas, as if by the tip of Dali’s moustache, thereby rendering the darkened waters into which Lloyd prefers to deploy his vessels. Stenson is equally present. His gorgeous spate of calypso magic in “Thelonious Theonlyus” and luscious soloing in “Cape To Cairo Suite (Hommage To Mandela)” are the water to Lloyd’s arid valley. In both Lloyd shoulders stories of unerring ingenuity, stringing chants of hope on their way toward rapture. This leaves only Hart, who brings a ceremonial edge to the proceedings. In those two tracks for which Lloyd swaps his brass for flute (“Little Peace”) and Chinese oboe (“Milarepa”), Hart flickers, a tranquil flame of justice, spreading decks of cards to reveal an unpretentious flush, luring shadows and breathing energy into a gunmetal sky. So does this quartet begin on earth and end in heaven. Even more powerful than the execution is the content: themes and interpretations spun from a well-pollinated mind. And so, it is Lloyd to whom we return. He catches every tiger by the tail, playing with a willingness to look beyond his licks and into the sun that grows them. From the way his sound circles the center, one can feel his horn swaying, loving, speaking. All My Relations is a celebration not only of roots, but also of the branches and leaves that would be nothing without them. This is what mastery feels like. 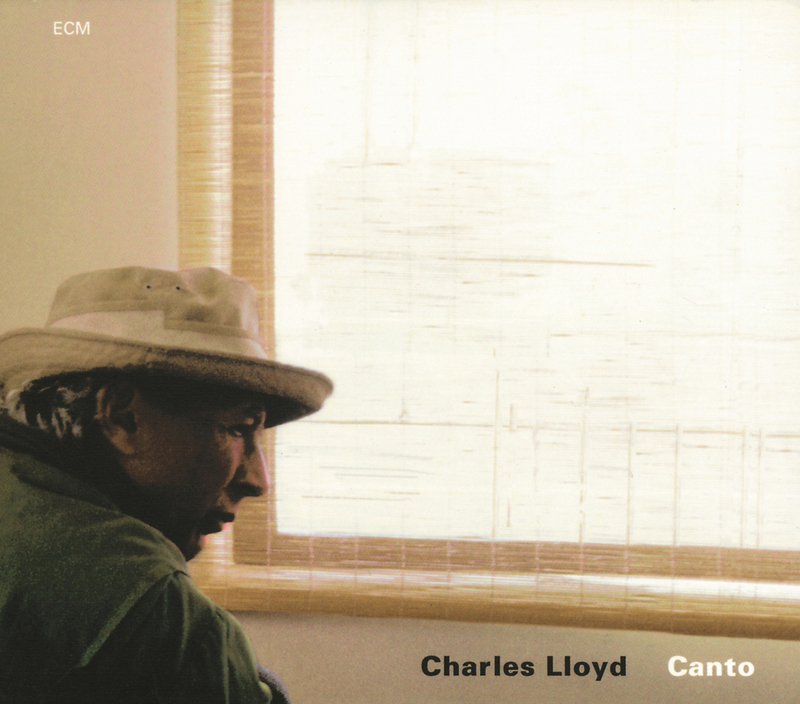 A picture may be worth a thousand words, but the cover photo of Charles Lloyd’s Canto shows a man who takes comfort in one: solitude. In that lingering, outward gaze into the light we see the immensity of his art more clearly than any number of words might ever hope to achieve. Which makes all the more incredible his acclimation to the talents of Stenson, Jormin, Billy Hart, with whom he again shares a bond (and a studio) for his fifth ECM outing. As if any proof were needed, Lloyd confirms that he has yet to fully chart the shadows cast some seven years earlier on Fish Out Of Water. If we have Eicher to thank for rescuing his music from the obscure corner into which it had been so carelessly painted by the media, we must also acknowledge the many inspirations that make their way into this book of seven chapters. We might as well expand the title of the opening “Tales of Rumi” to “Tales of Rumination,” for such is the nature of the ancient Sufi mystic’s presence as Stenson tickles the piano’s oft-neglected lungs. A needle of thought appears and recedes, pinholing the night’s canvas with stars, each a camera obscura of time. As the trio steps into the foreground, giving blossom to this fragrance, Lloyd filters the spotlight with his rusted tenor, peaking above clouds of golden tenure. He would sooner slow down this train than ride it to the last station, content as he is to linger in patient refraction. We hear this also in the chromatic disc that tiddlywinks us into “How Can I Tell You.” He rolls and bakes this and every theme into a perfectly layered filo, never afraid to favor certain notes over others. It is his way of defining a center from which all other centers grow. Each is of equal weight. If anything, the balance of fadeout and all-out burn in “Desolation Sound” emboldens us to accept that weight as if it were our own. A Satie-like descriptiveness welcomes us into the title track. Built of air and memory, it features the rhythm section’s most attuned work of the set and epitomizes the tender robustness at which Lloyd is so adept. “Nachiketa’s Lament” draws its name from a tale in the Upanishads and the selfsame boy who frees himself from saṃsāra in his rejection of material things. Lloyd finds solace for this retelling in the Tibetan oboe, in combination with drums, for a portrait of fruitless plains and empty bodies. Jormin and Stenson reveal their signatures only as the sun sets into the hills of “M,” of which the mineral-rich bass provides a solid perch for the tenorist’s heavy wing beats. Hart shakes off his fair share of stardust in a solo to remember before the grand sweep of “Durga Durga” disturbs the mandala in the immediate wake of its completion. Listening to Lloyd, especially as part of the quartet with which this set ends, is a multisensory experience. By the filament of his restraint he spins earth-shattering hymns. Opting always for a restorative edge, Lloyd finishes his tunes like someone who never wants to. He practices what he preaches and passes through criticism like a ghost through walls. 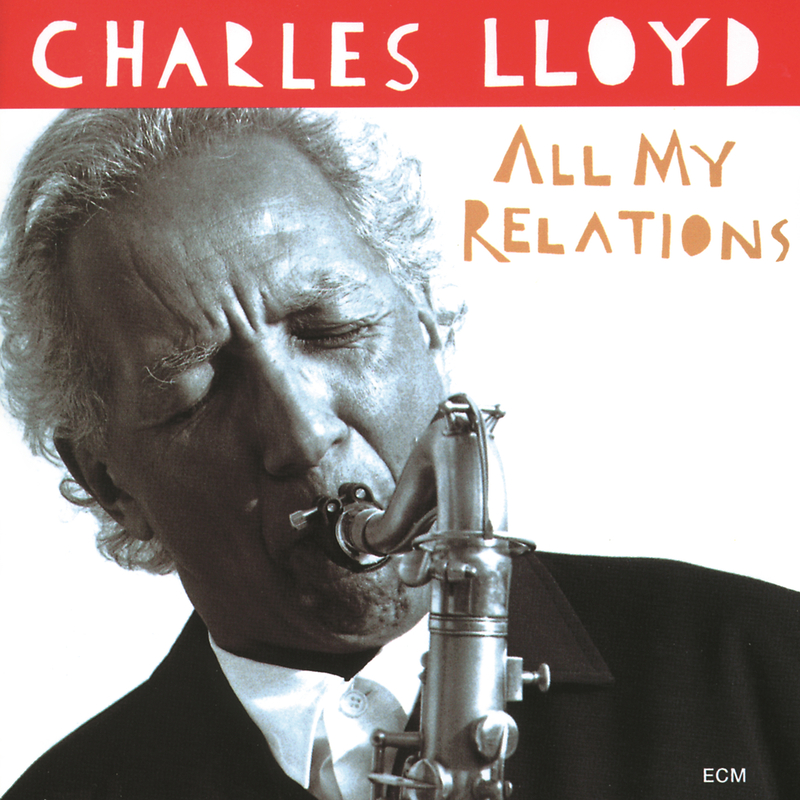 “When the spirit is blowing, I know I have to hoist my sails to catch the breeze,” says Charles Lloyd. Indeed, the Memphis-born saxophonist and spiritual walker has left footprints in many a patch of earth, each with its own song to sing. Yet nothing has leveled the playing field of his already vast history with such vitality as Sangam. 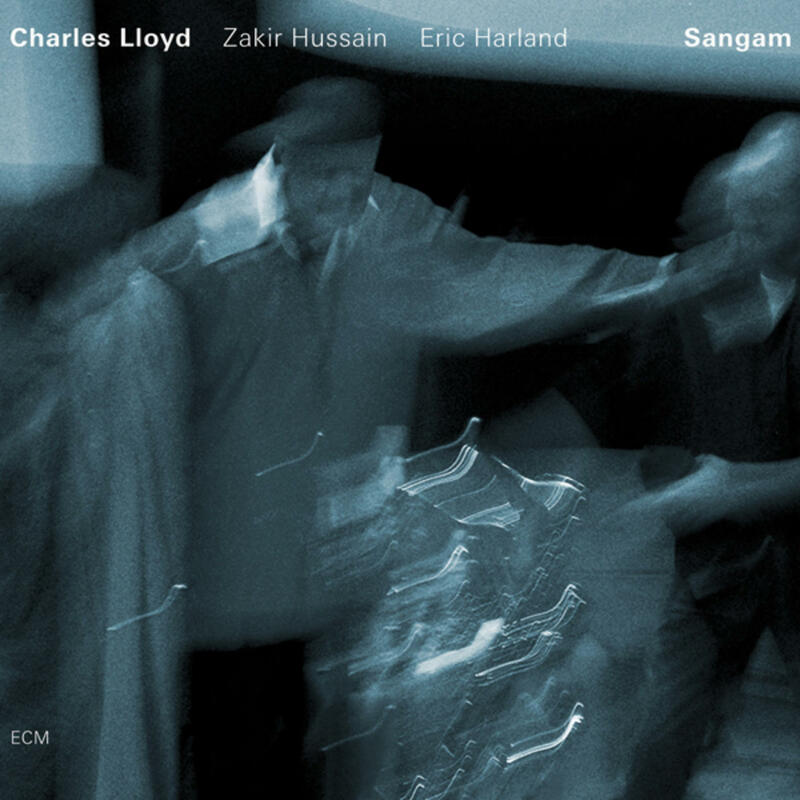 The name of this fruitful side project, which Lloyd shares with tabla legend Zakir Hussain and prodigious jazz drummer Eric Harland, connotes “confluence, a meeting place, a gathering or coming-together, literally or metaphorically.” This recording—Lloyd’s first live outing for ECM—thus takes the post-Higgins era in a profound new rhythmic direction while also paying homage to the worldliness that Lloyd’s late ally brought to their journeying hearts. This new trio rides the same wave, shares the same breath, and, as the title of “Dancing on One Foot” implies, moves through the same body. Hussain’s unmistakable groove and Harland’s brushwork set the scene, through which Lloyd wanders with his favored tárogató in hand, stitching the universe. Hussain attends to tuning as would a painter to color, matching tone and thickness to suit each canvas and subject in kind. This is especially apparent in “Tender Warriors,” an emblematic piece for the group that features Lloyd’s all-too-rarely employed alto, as well as in “Nataraj.” In “Guman,” the album’s only tune not written by Lloyd (it is by Hussain), its composer sings hand in hand with flute, weaving and veining the arid plains with the concert’s most intimate pathways. Also remarkable are the ways in which Hussain and Harland communicate throughout. One might expect, in such a young configuration, that Harland would be feeling his way through the shadow of his fellow rhythmatist, when in fact he meets Hussain in creative brotherhood. Lloyd’s tenoring is, though, a force to be reckoned with, imbuing a range of mountains and valleys with snow and flora, respectively. “Tales of Rumi” is among the more epic statements in this regard, a portal to infinite others. Here the trio enacts a transfiguration, a triangle within a triangle within a triangle: the album’s title made manifest. Through it all, Lloyd fast-forwards through eons of cosmic history (were it not for Hussain’s playful quotation of Rossini’s William Tell overture, we might hardly associate the music with Earth). The title track, too, is a thematic tour de force, sandwiching Lloyd between the drummers with commonality and freedom. Even when Lloyd is invisible, the other senses tell us he is there. “Hymn to the Mother” and “Lady in the Harbor,” each a soulful dirge, handles emotions as if they were fragments of a broken window. Piece by piece, they reconstruct the prism, so that in “Little Peace” they can dance without fear. Theirs is a butterfly effect, whose catalysts are life, love, and laughter. Three sages light up the night with the memory of a solar flare. Responsive as responsorial, they render jazz at a universal level. Sangam has the power to bleed the offshore accounts of our needless indulgences dry and redirect their provisions to those who need them most. It is an anthem, a tumbling of the social ladder to a horizontal plane. Three as one. One as three. 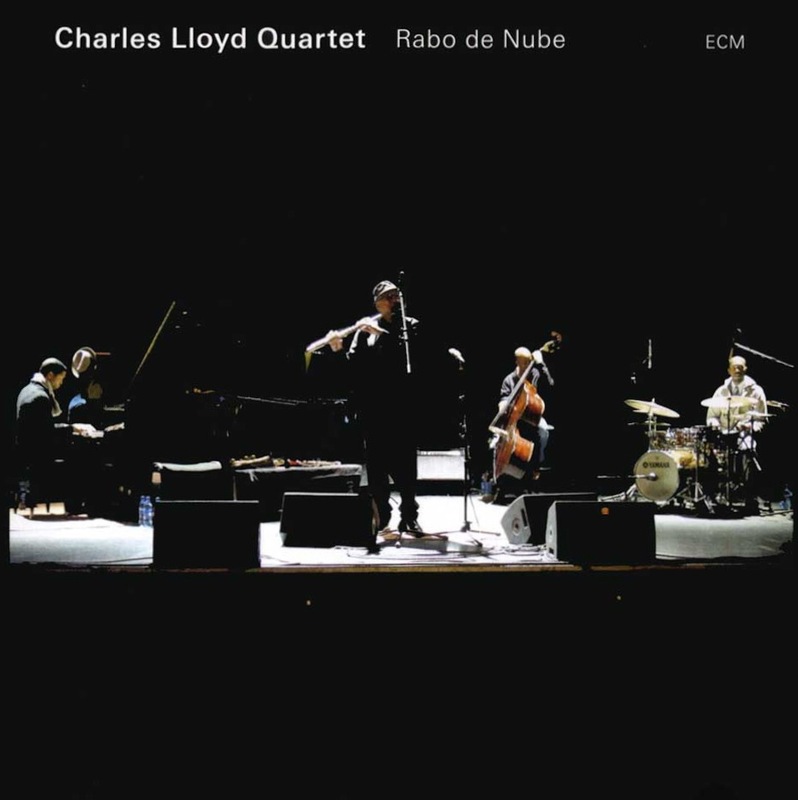 Rabo de Nube marks the inauguration of a quartet that has come to define Charles Lloyd to the present day. Pianist Jason Moran (making here his ECM debut), bassist Reuben Rogers, and drummer Eric Harland join the tender tenorist for a set of seven recorded live before a rapt Swiss audience in 2007. Anyone who doubts that wisdom comes from experience need only drink in the meditations of “Prometheus” to know the truth of that maxim. Lloyd sparks the 15-minute opener by plucking a thread from the air and pulling the rhythm section’s explosive entrance into being. The ensuing uplift gives juice to his improvisational engine, which purrs all the more for its decades of breaking in. The melding of playing styles in this quartet is obvious from the start. Moran flirts with rampage through Lloyd’s sunrays. Like a flock of loosed birds, the pianist’s notecraft scatters with purpose and genetic design. To this Rogers brings a fluid approach, redrawing the perimeter in anticipation of a grand return gilded by Harland’s signature delicacies. In keeping with this mood, Rogers intros “Migration of Spirit” humbly, thus priming the stage for Lloyd’s luscious thematizing. Moran is epic here, trailblazing rainbows into ragtime horizons. Those same nostalgic geometries permeate “La Colline de Monk,” which feels like a mission statement for Moran—a student paying homage to teacher. Complex yet never muddied, he holds a lens to the past, working in duet with Lloyd, as if to foreshadow Hagar’s Song. The story deepens. Another backward glance brings the band to “Sweet Georgia Bright,” a classic that proceeds without fanfare, harking to Voice In The Night and further to the 1960s, when it was written. The rhythmatists are smoldering this time around, leaving Moran with a strong percussive challenge, duly met. This gives way to a drum solo of evolving sensitivity, working from droplets to drizzle to storm. “Booker’s Garden” (written in memory of Booker Little, a childhood friend) and “Ramanujan” are the album’s only tenor-less departures. The former is a lilting vehicle for alto flute, while the latter fronts tárogató before a mélange of delicate bassing and transcendent pianism. In both is a gentle rendering that, like a skilled pumpkin carver, takes away just enough of the skin to let the candle shine through without puncture: luminescent to the core. Although Rabo de Nube ends with its title (which translates as “Tail of a Cloud”), it’s a clear beginning: of an era, of a sound, of this quartet as it rides into the future. This tune is the only of the set not penned by Lloyd, coming instead from that of Silvio Rodríguez. It is the tenderest of them all and sustains Moran, who leads the way into terrain that finds abundance in sparseness. Charles Lloyd’s music evolves like a fractal, from macro- to microscopic patterns. The album is accordingly structured so that little of it involves all band members at once. Each chapter is, rather, a catalyst for character development. The true accompaniment is something beyond even the musicians themselves, a sense of spirit that moves them to act. Through it all, Lloyd remains the familiar stranger. He wanders into town, leaving behind an ashen horizon, from which tendrils of smoke continue to rise, the only remainder of the civilization they once nourished—a civilization preserved in his horn. This album is a dream, ready to birth another. Billy Higgins. 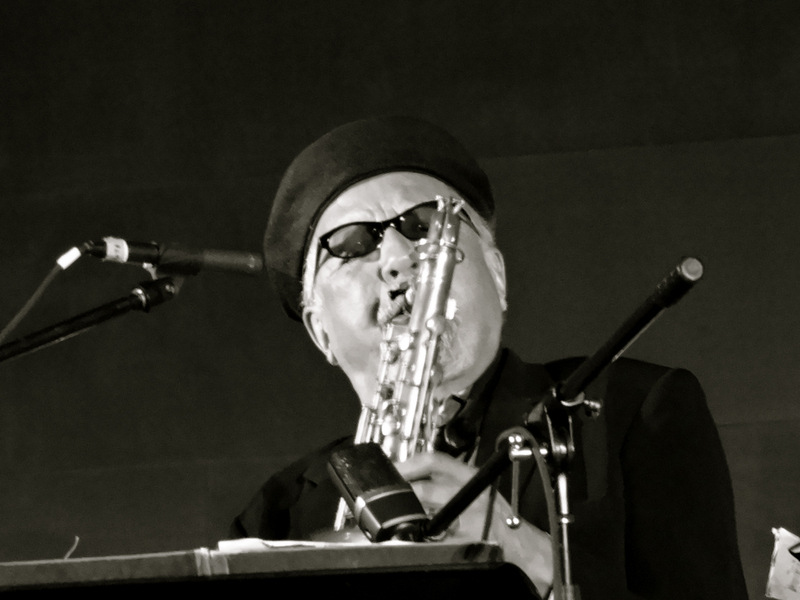 A man brother-in-charms Charles Lloyd once described as having the “dance of life.” A soul with whom, in ensemble contexts, the saxophonist forged a relationship so deep it begged to be loosed, unhindered in the week of playing, documenting, and spiritualizing that manifested as Which Way is East. More than a coming together, it is unencumbered unity, testimony to a higher power…. Call it what you will. For Higgins, its path is Islam; for Lloyd, Vedanta. And for the listener? A two-disc, thirtyfold undoing of expectations that is its own begotten magic. Together, its eight titled suites form a masterpiece in the most literal sense: a piece—a fragment—of mastery, a flicker of the eternity that nourished its becoming. Through its window we might see fields aflame, ices melting, suns and moons weeping. We might also know our past and future selves, a map of this and other lifetimes. The tools at the duo’s disposal speak of itinerant natures, of traveling minds absorbing local melodies like sponges. In this regard Higgins reveals a side until now obscured, a cocktail mixed from Delta waters, godly praises, and love songs. His interest in song draws from a broad palette of instruments—including the guimbri (three-stringed bass lute of the Gnawa), guitar, Syrian “one string,” plus an array of hand drums from across the continents—and languages (English, Arabic, and Portuguese roll off his tongue in kind). 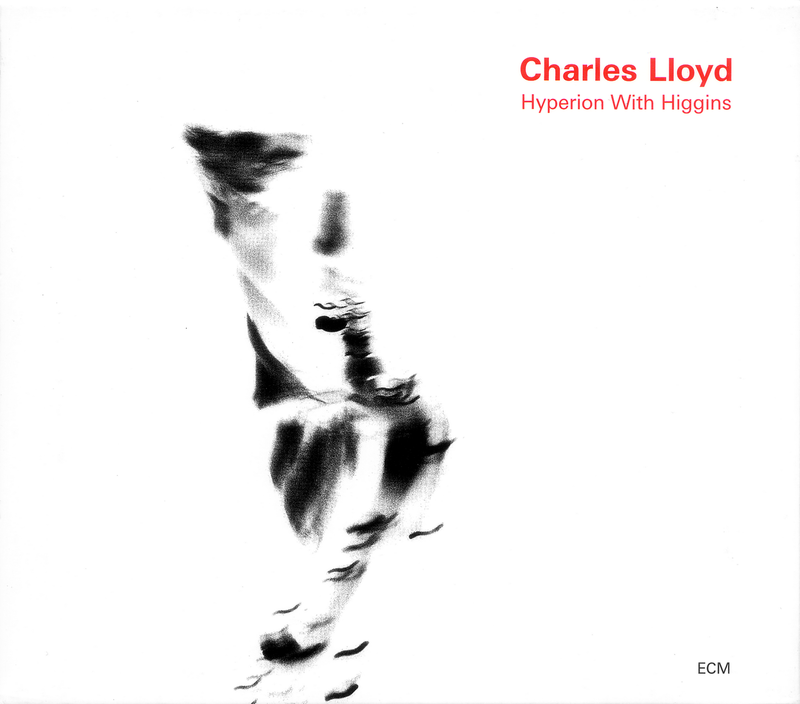 Lloyd fans will have come to expect cameos from winds like the Tibetan oboe and taragato, but may be surprised by his turns on alto (Lloyd’s “secret weapon,” according to Higgins) and piano. The sound of ancestors spreading wings, spinning flesh from sunlight. This is the impression of the opening suite, What Is Man. From blush of flute to strike of drum, from voice of throat to that of string, Lloyd and Higgins establish a sacred circle, scratched and torn like the skin and muscle of a wounded animal. The tenor’s entrance is shock and satori. The effect is such that, when the free improvisational language of Part 3, “Civilization,” enters our ears, it feels unfamiliar and requires a degaussing of the mind by way of adjustment. The beat and the reed: primal core of jazz. Having gone through that rite of passage, we end in a “Sea of Tranquility.” Lloyd’s tender stroll across the keyboard prefaces the triptych of Divans. An opening salutation melts the doors to a sanctuary of twilight. In the central crypt, skeletons find new reasons to live in geometries of breath and movement. Over a rocking plectrum, Higgins drenches worship to begin Salaam. Lloyd’s flute melts into alto, loses itself and finds passage into a cloudy heart. Its contours wrap around a statue of invisible strength, every muscle the manifestation of a song. The last panel, “Tagi,” weds Tibetan oboe and hand drums in an act of ontological possession, a disrobing of wasted thoughts, a dawning of shelter. must the wind hold hands with sky and land? must the water divide itself? All This Is That: a visceral unfolding of free improv, drums one step removed. “Hanuman’s Dance,” the 13-minute first part, dives into the sonic gene pool with alto ablaze, drums igniting the ether in kind before an audience of disembodied souls. 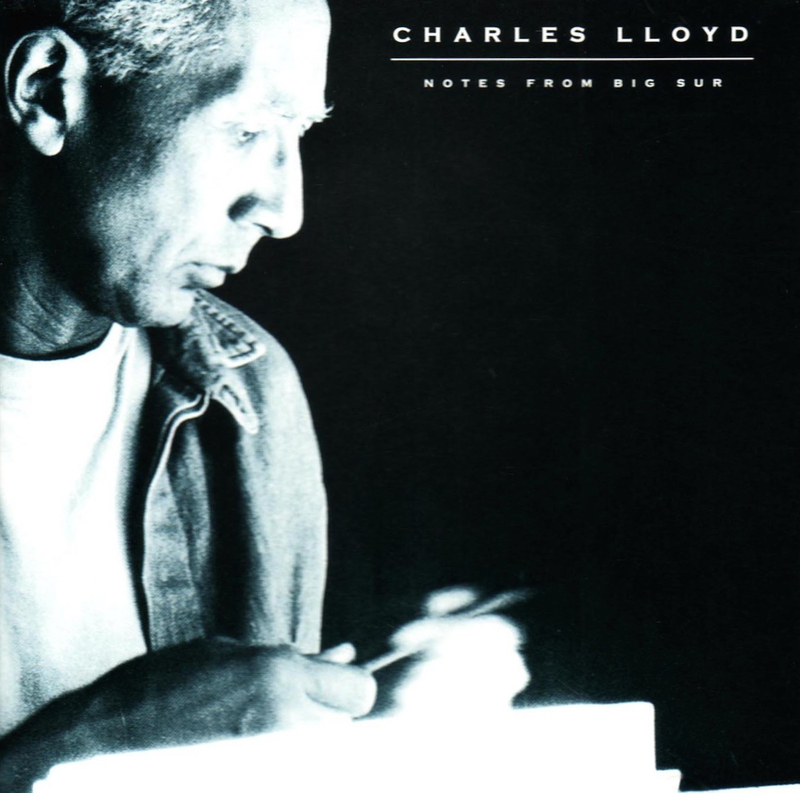 Part 2, “Sky Valley,” is another piano solo from Lloyd that borders on impressionism. “Blues Tinges” follows with an organically crafted song from Higgins. It is a call to mercy, a reclusive meditation, an offering so central that it feels composed on the spot. Last is “Atman Alone Abides.” Featuring hand percussion and Lloyd on taragato, its loosely woven tapestry is a patchwork of wandering and proximity as Lloyd crosses the studio into a corner of night, righting wrongs in flesh and in love. Disc 2 begins with Desire, another triptych of immense proportions. Grounded in that same elemental force as “Civilization,” Lloyd’s tenoring describes a magical scene. Restless and skittering, its flora wither at the touch of the closing “Chomolungma.” The title here is an old Tibetan name for Mount Everest, and indeed its 13-minute excursion finds deep traction in every upward step, towering its exposition like that fabled peak with snowy veins flowing. Devotion takes a more earthen tone with just a touch of grander mystery. The backwater poetics of “My Lord, My Lord” share the air with “Windy Mountain” in a powerful journey of self-discovery and selfless discovery, working a twisted pianistic core. Light of Love connects a range of dots, from Brazilian love songs (“Mi Corazon”) through barely spoken walkabouts (“Beloved, Chimes at Midnight”) to introspective song (“Take A Chance”). Each is part to a whole, a measuring of time by the breath of a sleeping child. The curls of “Perfume of the Desert” float Lloyd’s tenor on a bed of reed and ash to begin the final Surrender. Across oceans and tributaries, it unties ribbons in every head of hair and with them weaves the soft basket of “Forever Dance” before folding into the wordless pitch of “Bis,” a solitary snap to close the lapel of doubt. Which Way is East is unequivocally the profoundest statement of either musician. It belongs alongside Keith Jarrett’s Spirits as a phosphorescent example of pure expression. So sincere is it, you’ll forget you’re listening to a pair of jazz greats and know instead that you’re in the presence of sagacity beyond the circumscription of any genre. It is, then, more akin to a field recording, cast far like a fishing hook and reeled in bearing the fruit of the river…and a eulogy along with it. Within four months of these sessions, Higgins was gone from this world, though he remains by the power of such audible traces as these. Having once referred to the recording of Which Way is East as “two guys sittin’ on top of a mountain,” he is surely on that mountain now, looking down on us mortal folk from a vantage point higher than a thousand Everests, the dance forever on his tongue. In the winter of 1999, tenorist Charles Lloyd drew upon the personnel of his acclaimed Voice In The Night, retaining from that session guitarist John Abercrombie and drummer Billy Higgins, adding to them for the first and only time pianist Brad Mehldau and bassist Larry Grenadier, the latter of Mehldau’s eponymous trio. Recorded in Los Angeles, the tunes were split and released in 2000 and 2001 as The Water Is Wide and Hyperion With Higgins, respectively. And while the latter’s cover art is a negative image of the former’s, they are moved to action by the same invisible heart. Listeners are guaranteed to have Georgia and more on their minds when Hoagy Carmichael’s classic song—made famous by Ray Charles and stripped down here to pure melody—leads off The Water Is Wide with its sweet molasses undercurrents and soulful glow. Lloyd’s signature pop, periodic and delicate, adds punctuation to every phrase in this beautiful trio setting. Half of the album, in fact, pays tribute to songs that have moved Lloyd at one point or another in his long career, as well as to those that have burrowed into his heart. Of the latter is the title track, a Scottish folk tune, which in Lloyd’s arrangement posits Abercrombie inside Higgins’s steam-powered brushwork. Other stops along this migratory journey of things past include a bluesy take on Duke Ellington’s “Black Butterfly,” Billy Strayhorn’s “Lotus Blossom,” a piano-driven “Song Of Her” (Cecil McBee), and the polished bronze of “Heaven” (from Ellington’s Second Sacred Concert). Yet nowhere is the feeling so intimate as in “There Is A Balm In Gilead,” which pairs only the bandleader and Higgins in the cleft of a parting sea. It is the album’s zenith and sign of things to come in Which Way is East. A variety of Lloyd’s own tunes rounds out the set. “Ballade And Allegro,” written as incidental ballet music, is a veritable supernova regressing to its planetary state and showcases his penchant for emotional directness. Mehldau balances light and dark in perfect proportion, as he does also in “The Monk And The Mermaid,” the album’s other, decidedly aquatic, duet. Together, he and Lloyd mend broken fins and make them swim, iridescent and thirsting for brine. Lloyd re-stretches the canvas in “Lady Day,” a smooth tribute to Billie Holiday, before Abercrombie returns for “Figure In Blue,” swapping constellations with Lloyd in a laid-back vibe. The guitarist joins also in a “Prayer” to Higgins, who had a few years before this recording survived life-threatening health problems. Bassist Darek Oles also guests in this piece of suspension and separation. “The idea is like with the old Southern preacher,” says Lloyd of Hyperion with Higgins. “You go low and you get high and then you catch fire.” Which is perhaps why his originals comprise the entire program of this second installment—in them is a hearth of coals. Higgins continues to shine this time around, lifting Lloyd to brighter evocation in the title track and lighting not a few fireworks with his sticks. That unbreakable dialogue continues in “Secret Life Of The Forbidden City,” in which Abercrombie also broadens his wingspan. The guitarist moves with even more pleasure in “Dancing Waters, Big Sur To Bahia” and goes classic in “Miss Jessye,” mixing just enough sugar and spice to keep everything nice. Marvelous also is the geometric pianism. On that note, there’s no mistaking the synergy of Mehldau and Grenadier in “Darkness On The Delta Suite,” a return to roots that works on every level. Their creeping, marshmallow texture, combined with Lloyd’s campfire crisp, clothes the suite with ragged style. 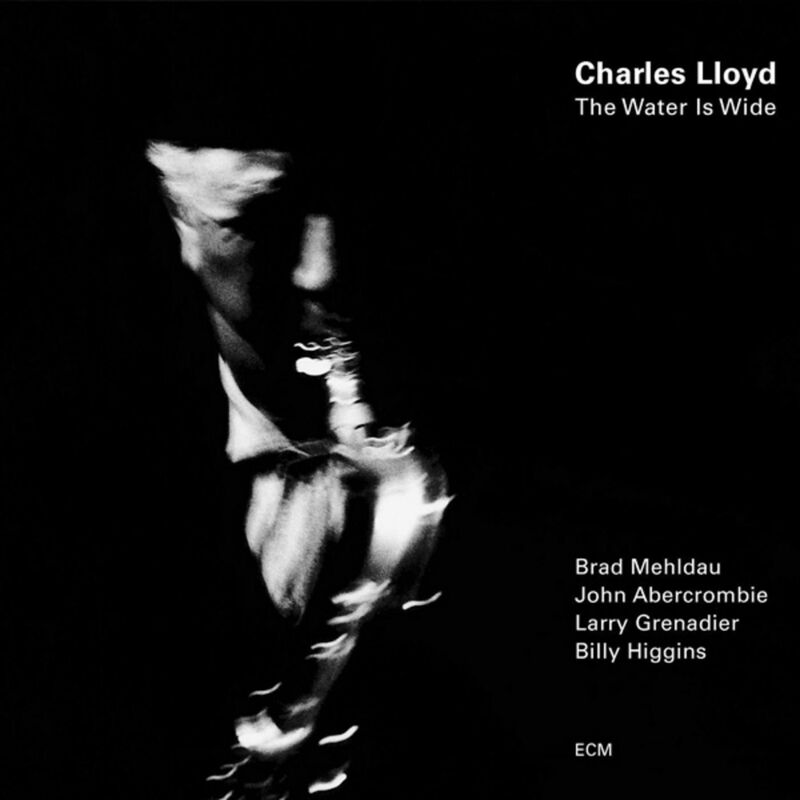 Grenadier kicks off a solid groove in “Bharati.” In this one, Lloyd flirts with captivation over Mehldau’s fertile ground, lifting themes like a morning fog, before “The Caravan Moves On” opens the mind in a plains-drifting rite with Higgins. The introduction of guitar and bass adds figures to this desert in slow and steady progress. Abercrombie lobs his characteristic catcalls into an azure sky, Lloyd’s tárogató echoing all the while like a dream held on to just long enough to taste. Hyperion with Higgins is brimming with warm spirit. Lloyd has honed his lyricism like a blade so fine it cuts hatred until only the shape of love is left. This spirit possesses the melodic inventiveness of his improvisers. Their vocabularies are the fresh to his familiar. Sadly, these sessions further represent one of Higgins’s last recordings before his death in May of 2001. And in that sense, they will forever hold vigil in his name. 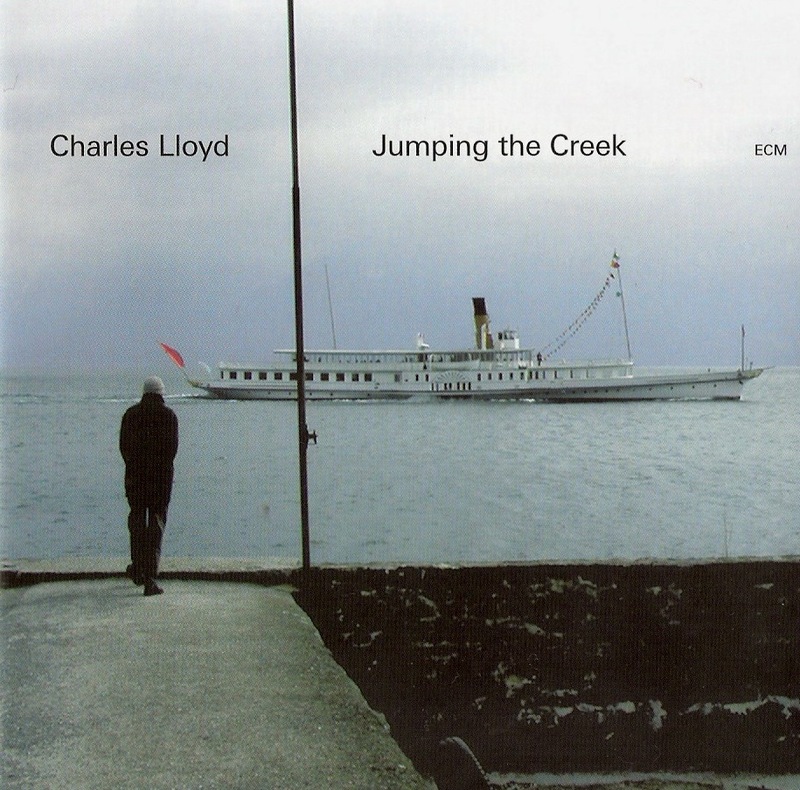 Jumping the Creek fronts Charles Lloyd in a marvelous quartet of Geri Allen (retained from the Lift Every Voice sessions) on piano, Robert Hurst on bass, and Eric Harland on drums. The Memphis-born reed man’s 11th album for ECM is filled with magical realism, fleshed out most vividly in Allen’s overtime at the keyboard. He and Hurst often play the part of rhythm section, detailing the stone-skipping exchanges between Lloyd and Harland of “Ken Katta Ma Om,” for which he hollows out a melodic cave for Lloyd to throw his torch into, and the briefer though no less verdant passage of “Angel Oak Revisited.” Whether painting a Jackson Pollock bramble of layers or framing the band in the open geometries of a Sol LeWitt cube, he is a vital presence on this date of hip triangulations. None of this diminishes Hurst’s own contributions, which bear bushels of sonic fruit throughout. 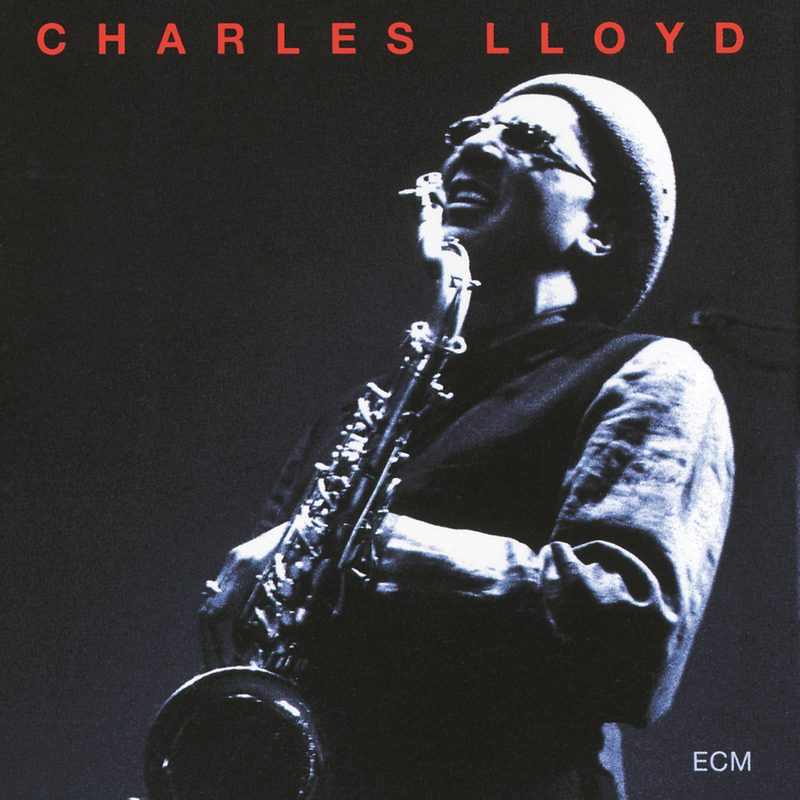 He integrates masterful subtleties into the weave of the title track, bridging Lloyd and Harland’s crosstalk into closure; solos persistently and evocatively in the marvelous “Georgia Bright Suite;” and duets sagely with Lloyd on tárogató in “The Sufi’s Tears.” For each he impacts miles of energy in few footsteps. Duo energies go deeper in the subdued glory of “Canon Perdido” and “Both Veils Must Go,” each an expansion of Lloyd’s improvisatory mission with Harland. There is a sense of belonging here. Rounding out the set are a veiled take on Duke Ellington’s “Come Sunday” (one of only two not penned by the bandleader) and two epic tracks. “Song of the Inuit” ends with an elemental catalogue, which like the “Georgia Bright Suite” unpacks a fascinating attic of curios. An animated solo from Lloyd pains a night breeze and the leaf that trembles by its touch, with no other dream but to fall. Yet nothing here is so all-encompassing as the leadoff track by Belgian songwriter Jacques Brel. “Ne Me Quitte Pas” reduces Byzantine touches and less intimate cascades in a crucible of undulating development, shoring up the album’s levees with long and song. Jumping the Creek sails oceans of memory as if they were the future, nakedly and freely. Throughout, Lloyd hangs by a thread that, while thin, tethers his playing to unseen spirit, moving as one might whisper—which is to say, with grace. On the night of September 11, 2001, Charles Lloyd was scheduled to appear at New York’s Blue Note jazz club. In the wake of that morning’s unforgettable tragedy, he took the concert’s postponement as an opportunity to meditate on a response. Out of this impulse came Lift Every Voice, which in spite of the events that provoked it is more spiritual than political, opting for a message born in words yet conveyed without them. Lloyd has been shepherding trusting flocks with the crook of his bell for many decades, yet perhaps none so solemn as the one gathered here. Joined by pianist Geri Allen, guitarist John Abercrombie, bassists Marc Johnson and Larry Grenadier, and drummer Billy Hart, he enacts a sonic prayer that only two CDs can contain: one for each hand in supplication. Looking at the final tracks of both discs, we find such balance achieved. Where “Hafez, Shattered Heart” ends the first disc with a profound tárogató solo, opening a dream of desert to reveal another of water, the second concludes on a high note with “Prayer, The Crossing.” The latter’s visceral energy is the key to all that moves between it and the opening “Hymn to the Mother,” another Lloyd original that expands the session’s reach to the stars and back. Lloyd’s material is the strongest—or, more precisely, is of an altogether different strength than the standards, hymns, and spirituals with which it shares breath—for it is also his most selfless. Whether it’s the bluesy Abercrombie vehicle “East Virginia, West Memphis,” the autumnal colors of “Angel Oak,” or the Allen-focused nostalgia trips “Beyond Darkness” and “Nocturne,” Lloyd finds his voice through the attunement of his band. He finds it further in the darkened fields and pathways left behind by those—named and nameless—who are no longer with us. Marvin Gaye flickers between realms in a distinct arrangement of “What’s Going On,” smooth as a northern light. The intimate repose of “Amazing Grace” (Lloyd plays this as if for the first time) and “You Are So Beautiful” defies all associations, flowering behind closed eyes and open heart. The lyrical cartilage of his support system follows every step as he flutters through the changes, a moth courting the flame. Noteworthy also are the Duke Ellington tune “I’m Afraid,” a quintessential display of Lloyd’s tonal prowess, and Billy Strayhorn’s “Blood Count,” by far one of the most touching five minutes Lloyd has ever recorded. Two pieces by Cuban protest singer Silvio Rodríguez, “Te Amaré” and “Rabo de Nube,” thicken the pot with some heartfelt craft, both highlights not to be missed. They quiver at slightest contact, cups filled to the brim. All of which infuses eternal flowers like “Go Gown Moses” and the title hymn with constellations galore. Terror is the soil of togetherness, and in chaotic times the sunflowers are our singers. In their company and by their guidance we open our mouths to the sky. Lloyd is one such singer. Yet he does not lift his voice. Rather, he lets the high notes crack, lest they distract us from the healing taking place beneath them. Thus he gives attention to the impermanence of things. A philosophical move, perhaps, but an inevitable one that reminds us of music’s fragile architecture. He is neither leader nor follower, but a border without countries. He is an artist who stands before us, poised to weep as the world weeps around him. Blessed. 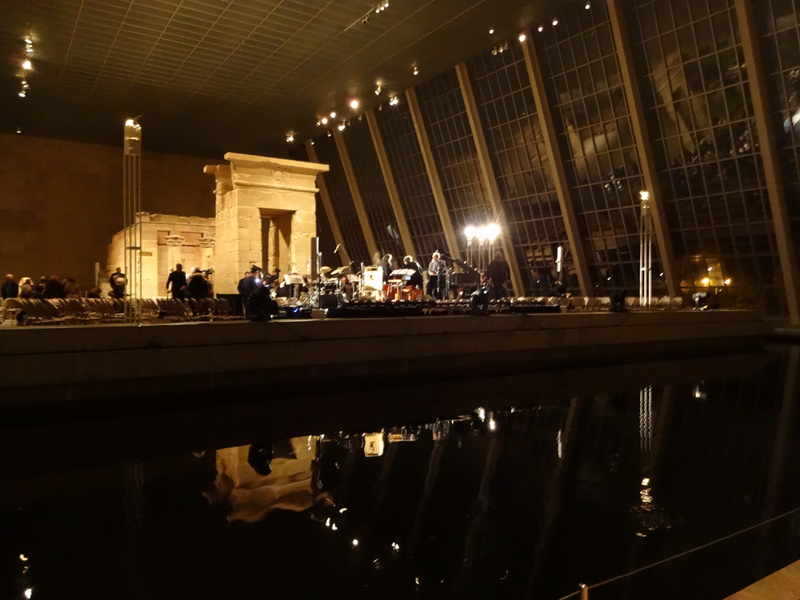 That was how Charles Lloyd expressed what it felt like to stand before the Temple of Dendur at New York’s Metropolitan Museum, nodding to the fortune of making a life in music, that torch of never-ending flame. The celebration was nominally in honor of Lloyd’s 75th birthday. Spiritually, however, it was in celebration of all creation, offering as it did the greatest gift of all: beauty. 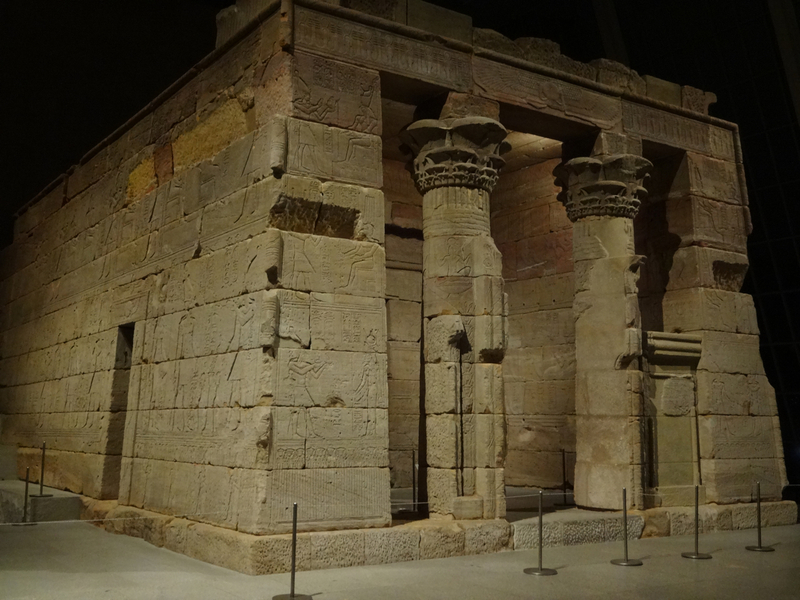 Like the Egyptian temple itself, each tune was transported and rebuilt, stone by stone, until its architecture stood by whim of its own gravity, channeling an energy that flows through rivers wide and narrow. Lloyd’s fingers thirsted for that water, gathering its holistic power in the vessel of his horn until the particles sang. Strayhorn and Ellington loomed intimate in his opening gambit with Jason Moran at the keys. That unmistakable tenor filled a reverberant space with soul, soul, and more soul. Every run was a flutter of the heart, every split high note a distant supernova. Moran’s quiet flow brought the sound homeward, chiming the ashen bells of recollection until their surfaces glistened afresh. He brought with him a jagged array, sewing ragtime shadows to his Peter Pan feet and running through patchwork fields. The duo’s brief exhale of “Abide With Me” welcomed the rhythm section to the stage. With a drum roll and a splash the band jumped into raging waters. So began the New Quartet portion of the evening, wherein fire and ice embraced their differences and found peace in aquatic compromise. A solo from bassist Reuben Rogers drew a sidewinder’s path in the dunes, turning heat into nourishment. Lloyd and his band not only rode the train, but also laid the tracks, stoked the fire, and wound through glowing thematic tunnels. Drummer Eric Harland left an ephemeral trail of steam, soloing with the strength of a thousand signal flares. Rogers further pinholed the darkness with constellations to the tune of Moran’s twenty-fingered chording. From behind his sleek shades, Lloyd turned day into night with every lick, keeping the sandman at bay and digging low only occasionally for effect. It was in this context that his gentle dream-weaving over a Saharan beat provided as yielding a surface as was needed to welcome Alicia Hall Moran into the mix for a spirited “Go Down Moses.” With its serpentine refrain of “Let my people go,” her operatic contralto painted the sheltering sky with prophecy. A gentle cascade from Moran trickled into Lloyd’s “New Anthem,” moving through rhapsodic changes reminiscent of Barber’s Knoxville: Summer of 1915. Fly, songbird, fly. Yet it was Greek singer Maria Farantouri who spread the richest wings of the concert. Joined by lyra master Socratis Sinopoulos, she assumed a vast presence in her rendition of the Greek Suite from the Athens Concert album. A lone improvisation from Sinopoulos served to emphasize the holiness of the space. Farantouri was the twilight itself, an Adriatic dream realized before the ears. Lloyd and Farantouri always seem to bring out the best in each other, and on this stage the vibe was no different. Traveling down the River Styx and back again, Moran appending thoughtful diacritics along the way, the group inscribed its journey with nary a backward glance. Harland wound a fantastical roll to whisper strength, the lyra tracing a perfect horizon line. After this two-hour tour de force, Farantouri lightened the mood by singing “Happy Birthday” to Lloyd before encoring with the joyous “Yanni Mou,” thus signing off on a living résumé of the saxophonist’s legacy and influence. Well, the real question is: How do you take it out? Right. That came to me, that information, and it was like a wall for me. She’s obviously a beautiful soul. All I can do is reinvent the world. My thing is about beauty. There’s all that ugliness out there. I’m trying to wipe it out with beauty. I’ve always been trying to do that. I can’t change my stripes now. I’m an idealist and dreamer. My dreams are still bigger than my memories. Maybe that’s why I don’t succumb to age or polarities, lines of demarcation…. I’m not the one for that stuff. Obviously, to me she’s very beautiful and I wanted to enfold that. I started out with Strayhorn’s “Pretty Girl” because there was this flower and I don’t know how to not do what I do. Things just happen along the way. These things, they’re all my world. Did you feel anything different this time around recording a duo album with Jason as opposed to the quartet, or is it all part of the same fabric? Yeah, you’re naked. We made that sound. It’s a homemade pancake. Can you talk more about that sound and how your relationship with ECM has built it? I like the idea of being in one place for a long time and developing something. When I recorded Fish Out Of Water, I just went in and played. Some of the big companies have come to me, but I have a home here. I always knew that ECM made great sound, hermetically sealed, but I need what I need, because I’m a sound seeker. Maybe sound seeks you as well. What you’re looking for is looking for you. On that premature note, it was time for us to go. Before leaving the hotel room, subject to whatever might be looking for us, my wife and I said our goodbyes, but not before Lloyd laid a hand on my son and said a prayer for him. The silent wonder in the boy’s eyes as life began to take shape in them was as inspirational as anything we’d heard the night before. Blessed indeed. "...some of the most beautiful writing next to enjoying the music itself." "...allows wonderful familiarity with the daunting, endless (and endlessly stunning) ECM catalog—and opens up possibilities that may have been missed on previous listening experiences."